The Structural Testing and Student Projects Facility opened in Fall 2014. It offers nearly 25,000 square feet of space, 3,000 of which is dedicated for student project space. Engineering student groups ranging from Jayhawk Motorsports, KU EcoHawks, KU’s steel bridge team and the aerospace engineering heavy lift are among those with access to the dynamic and innovative space. The rest of the facility is dedicated to large-scale structures research. It has a 40-foot high strong wall, two 20-ton cranes and a strong floor that can carry 100,000 lbs. every three feet in both directions. The iconic building – designed and constructed by Studio 804 in the KU School of Architecture, Design and Planning – aids in the research, fabrication, and refurbishment of electric vehicles and in the discovery of sustainable energy solutions. Located on KU’s West Campus, the Hill Engineering Research and Development Center contains designated areas for computer workstations and prototype testing for use by the KU EcoHawks student research group. Windows at the high-bay fabrication spaces are glazed to allow visitors to view research in progress and allow for maximum visibility and solar gain. To offset the high heat transfer and improve energy performance, Studio 804 developed a system to raise and lower aerogel panels behind the glass facade. Using passive and active sustainable systems and technologies, the building is intended to be Studio 804’s sixth LEED Platinum building. It was funded through a generous donation from alumnus Ron and Sue Hill and dedicated in June 2013. It was named one of the world's 13 best new buildings in 2013 by Architect Magazine. The Measurement, Materials and Sustainable Environment Center was dedicated in fall 2012. This 47,000 net square-foot building provides a unique opportunity for several engineering and campuswide research groups to work together on projects and to develop commercial applications based on project results. The facility is reserved for research purposes and houses the administrative offices of the KU Transportation Research Institute. The $24 million research building is funded in part through a $12.3 million award from the Department of Commerce’s National Institute of Standards and Technology Construction Grant Program. The School of Engineering, KU and donors to KU Endowment contributed matching funds for the project. Learn more about what this grand facility has to offer. Students use the Spahr Engineering Library for research, studying and a quick bite to eat. The 7,500-square-foot library was made possible with the financial support and stewardship of Charles E. Spahr, a 1934 KU civil engineering graduate and the retired chairman and CEO of Standard Oil of Ohio. As part of the Learned Engineering Expansion project, Spahr Library underwent a massive renovation in Spring 2015. The expansion will open the floor plan. It will provide small group study rooms, space for student organizations to meet and a workroom to tackle a variety of projects. This multi-use area will become a crossroads for engineering and computing students – a place to connect, cultivate and create – and a small café will fuel students in the middle of something big. Many architectural engineering courses are taught in Marvin Hall, the former home of engineering at KU. Studio space for architecture and architectural engineering students also is found in Marvin. Malott Hall is the home of two academic programs with close ties to engineering: The Department of Physics and Astronomy and the Department of Chemistry. The Engineering Physics degree program is jointly administered through the Department of Physics and Astronomy. Some undergraduate and graduate level programs are offered at the Edwards Campus to assist professionals furthering their education. 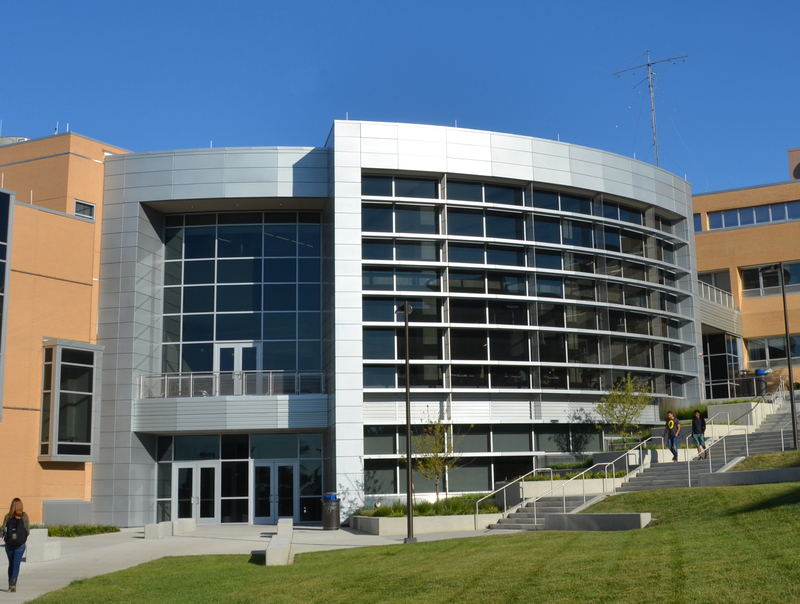 The BEST Building on the Edwards Campus is home to the Engineering Management and Project Management master's degree programs, which offers distance-learning options to students who must travel outside the Kansas City region.